England got out of jail in the end against Italy at Twickenham to finish comfortably 36-15, but for a complete half they were totally baffled by the visitors’ tactics. Rarely committing any men to the breakdown beyond the initial tackler, meant no ruck was formed. 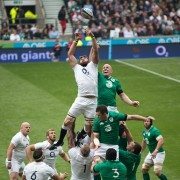 As a consequence Italian defenders could stand between England’s half-backs, blocking off the pass, yet were not offside. It created huge confusion both in white-shirted ranks, among TV commentators and in the stands. Captain Dylan Hartley and James Haskell were reduced to asking referee Romain Poite to explain the laws of the game to them, which he did while telling them to ask their own coach if they wanted to understand how to respond. Quite why all concerned, bar the Italians, looked blankly to the referee seemed odd. As recently as last year’s World Cup one of the minnows, I forget who, (Uruguay was it?) employed exactly this approach. They weren’t good enough to exploit it and ultimately neither were Italy. England addressed it in the second period but they were slow on the uptake and their lack of speed of thought will one day cost them dear. The home side eventually scored six tries through Cole, Care, Daly, Nowell (2), and Te’o. For once, Owen Farrell struggled with the boot but still managed three conversions. Venditti and Campagnaro got scores for the Italians with Allan converting one and slotting a dropped goal. So non-plussed were England that Italy led 10-5 at half-time. Back to that lack of speed of thought, Italy’s first try came from an Allan penalty attempt which came off a post and bounced down. Following up Venditti grabbed the ball and powered over easily as England players stood like statues utterly mesmerised. That saw Italy just two points adrift at 17-15. But, helped by much-needed substitutes off the bench, and finally working out how best to combat the Italian cleverness, England turned the screw. Nowell in particular was on fire. So victory secured, but Eddie Jones out-thought, who would have believed it. And he didn’t take it kindly. In my experience most rugby players have never actually read the rule book. They sort of absorb it all from an early age via coaching and game time. So full marks to the referee for being spot on. However, I do wish referees would implement all the rules all of the time. The rules say you must put the ball in straight at the set scrum. Referees ignore it. Increasingly they don’t bother to call out crooked throws in the lineout either. They are supposed to be there to implement the laws. What right do they have to pick and choose which ones they will officiate? Perhaps this somewhat bizarre Six Nations contest will get others too to demand action. Meanwhile it is form team Scotland next up for England. Another difficult one. 2017 Old Mutual Wealth Series (Autumn Internationals) On Sale Now! The Autumn Internationals are one of the major highlights of the international rugby calendar as the best sides from the Southern Hemisphere head to Europe for their end of season tours. 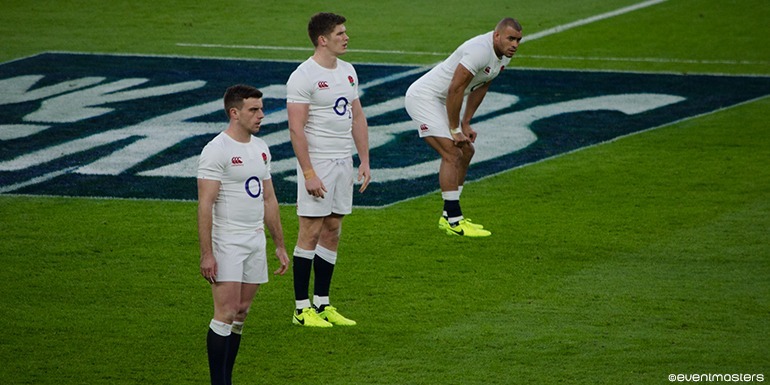 In 2017 England face three crucial fixtures at Twickenham Argentina, Australia and Samoa. Please see our Twickenham Autumn Internationals hospitality page for more information.